When thinking about upgrading your bathroom's look, one of the first things you'll likely consider will be the color scheme. White is usually either an immediate "yes" or "no" for most people, with few gray areas in between. 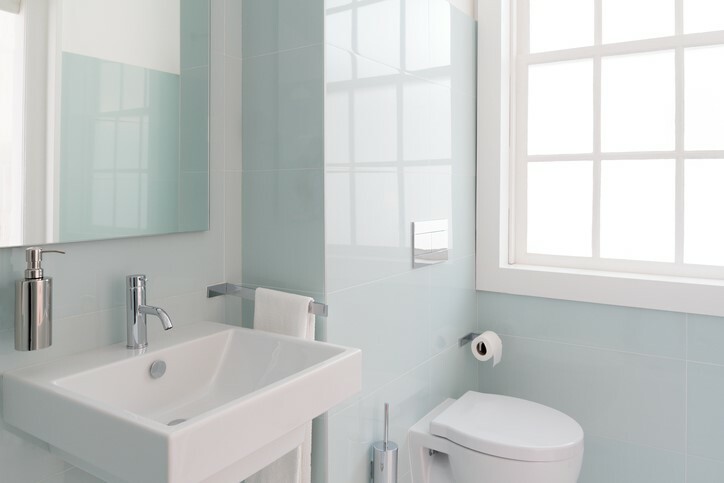 While white can give the illusion of space for small bathrooms, it can also become overwhelming and feel too sterile. 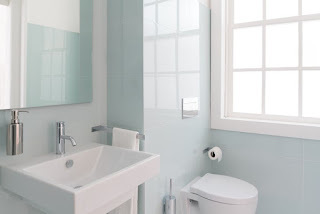 Below we'll discuss some ways in which you can make your white bathroom work for you. 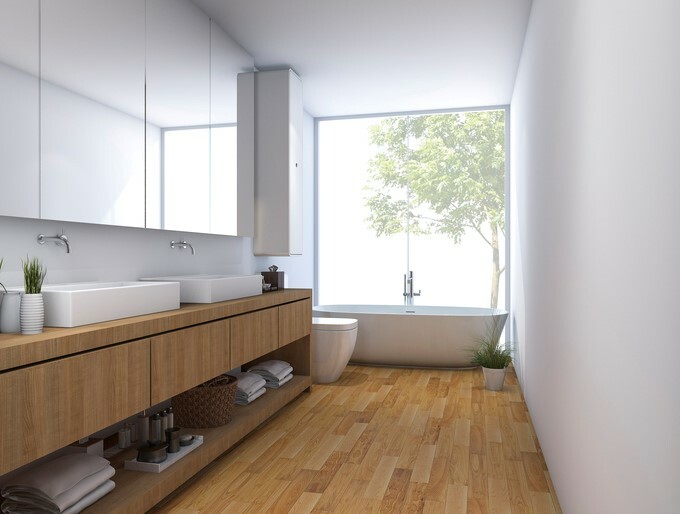 The minimalist look can work wonders for a bathroom, particularly a small one, but you'll want to ensure it's done right. Nothing ruins a minimalist look more quickly than a space that becomes cluttered by not offering convenient storage space. 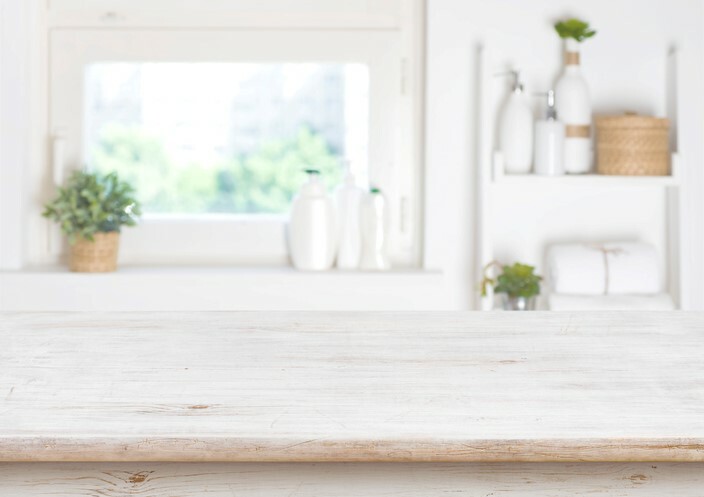 To keep things truly minimal, avoid decorative knickknacks and provide yourself with ample storage space. Use glass jars to keep everyday items such as ponytail holders or Q-tips easily accessible and neatly together. A potted orchid or small cactus plant will do well in a minimalist bathroom with natural light and add the right amount of color without compromising your overall look. Afraid an all-white bathroom could become too stark? Use small elements of color or texture, such as trim or tile, to add a touch of warmth and dimension. Colored trims are an easy way to open up spaces, and they can be complemented with other small touches such as framed wall art, large mirrors or unique floor tiles. 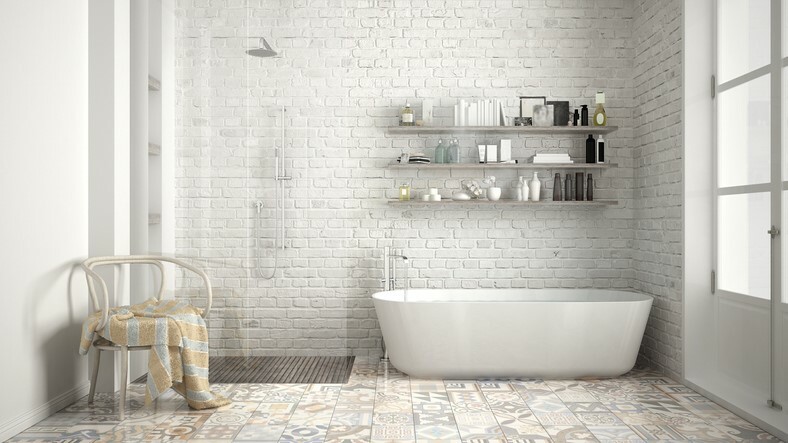 An interior brick backsplash or accent wall gives your bathroom an extra dimension and sets the stage for rustic or antique decor. If you love the idea behind the minimalist look, but aren't quite sold on an all-white theme, consider contrasting your whites with other colors such as brown or even black. Your white walls will provide the illusion of space while darker cabinets, floors or vanities will provide the contrast you're looking for. Choose light oak, teak or cherry wood to create gentle contrasts or add darker colors for contrasts that are bigger and bolder. Alternately, consider reversing your color scheme by installing white cabinets and vanities while using your walls to provide the contrast you're looking for. Give your white space a little more of that homey feel with décor. An antique mirror or standing lamp can be a wonderful addition to a white bathroom without adding clutter, and adding wall art of your choice can give you just the splash of color you're looking. Use classic framed art for a quaint bathroom look or spice it up with antique metal signs for a more playful dimensions. Add small plants, jars or even candles to shelving or into built-in nooks or windowsills, but avoid cluttering counters with décor. Great suggestions. I will be redoing my bathroom soon and I know there is a lot of accumulated clutter that needs to go. Your post inspired me. keep up with good work. Your blog is really beautiful. I like your blog post. Personify I like white color for bathroom. Your information is very helpful for making white bathroom design.